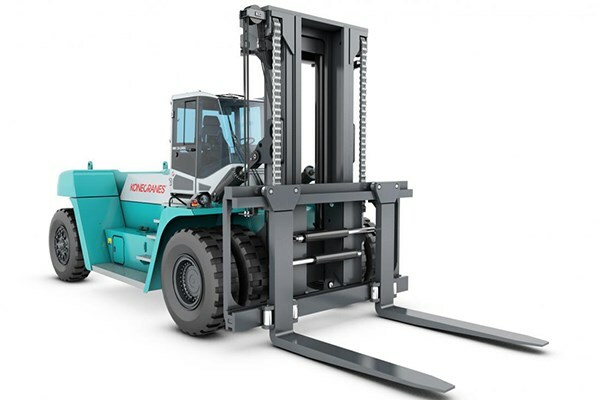 One of Konecranes' new Generation C lift truck in action. 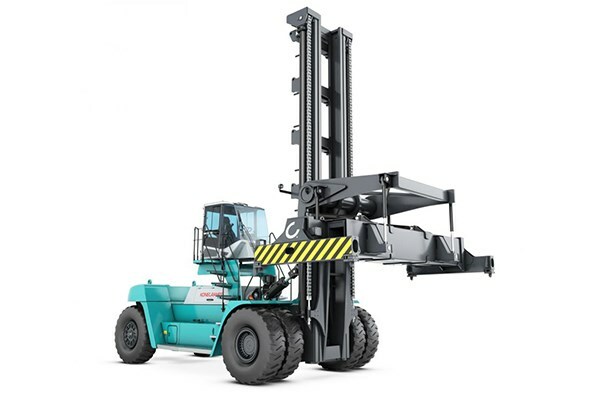 New Konecrane container lift truck. 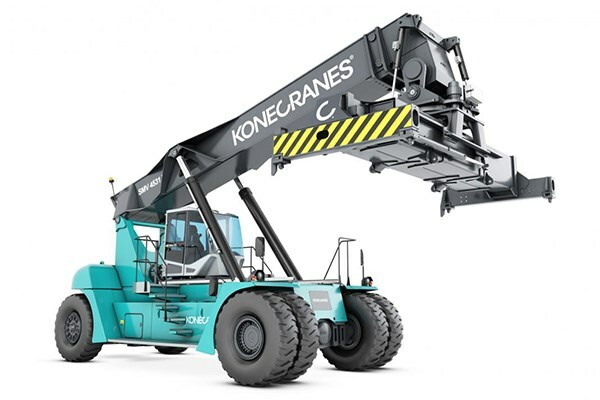 Finish equipment manufacturer Konecranes has announced its Generation C series lift trucks will be heading to Australasia. 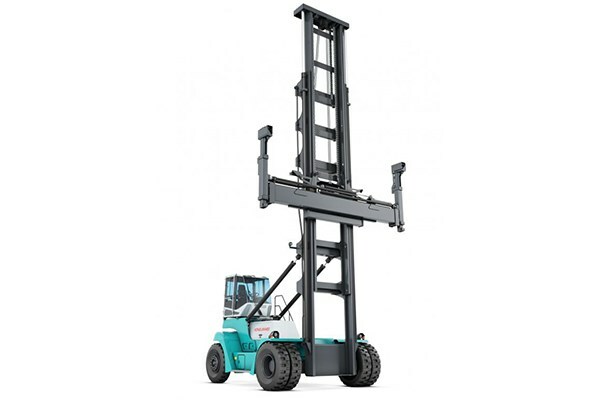 First launched two years ago at CeMAT in Hanover for the European and North American markets, the new range includes 10- to 65-tonne forklifts, container lift trucks, and reach stackers. "The Generation C lift truck is a collection of refinements and bold new technologies that improve our lift trucks in ways that make them safer, cleaner, quicker and more cost effective," Konecranes APAC regional sales and service director Patrik Lundbäck says. 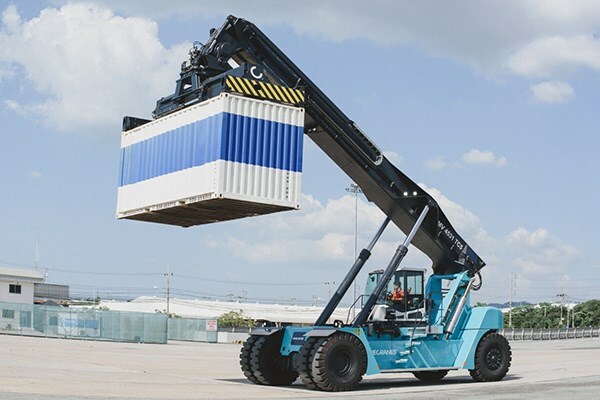 "We are very happy to be the first region outside of Europe and North America to launch the Generation C."
The company says among the new features of the lift trucks is a redesigned cabin, with nods to safety, comfort, and productivity; increased reach stacker performance; and improved engine performance. The changes to the engine mean it now consumes six per cent less fuel, which can be further enhanced by between five to 15 per cent with the optional start/stop function. The powertrains are also quieter and meet emission legislation levels EU Stage II / EPA Tier 2, EU Stage IIIA / EPA Tier 3, or EU Stage IV / EPA Tier 4f. In the cabin, Konecranes says operators will find an "ergonomic layout with integrated seat-mounted controls" and "superior visibility". "The industry’s first 7-inch touch screen colour display provides full truck monitoring including eco-drive, fuel management and driver login," the company says. "The touch screen monitor also supports an optional integrated rear-view camera and tire pressure monitoring. "The efficient HVAC (heating, ventilation and air conditioning) system offers a 50 per cent overall capacity improvement." 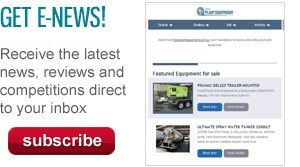 Konecranes says the Truconnect remote monitoring service is available for the C series. The company’s APAC region includes Indonesia, Japan, Malaysia, Bangladesh, Philippines, Singapore, Thailand, Vietnam, Australia, and New Zealand.